I’ve recently been showing lots of photos from our time living in the wilderness way back (if you are interested and haven’t seen them already, see the posts with photos listed in the drop-down menu “Wilderness photos”) and, while interesting – I hope – they are sixteen or so years old and from film, and so look rather poor quality compared to today’s pictures. Well, Greg recently bought a new camera, an electronic whiz-bang whateveritis with the capability of unlimited shots, or so it seems, but up to this weekend, I hadn’t used it. The weekend before last was a long weekend in the ACT (Australia Capital Territory, where Greg works, so he got the day off), and we had gone for a great day out in the countryside. The trip had been so enjoyable and the scenery so beautiful this time of year, I expressed the wish that we’d taken the camera along. This weekend (just gone) was another long weekend, so we repeated the exercise – to different places – and this time the camera came too. After some basic instruction on how to use it, I was away, and this gives me a great opportunity to show you some of the surrounding landscape in NSW (New South Wales). 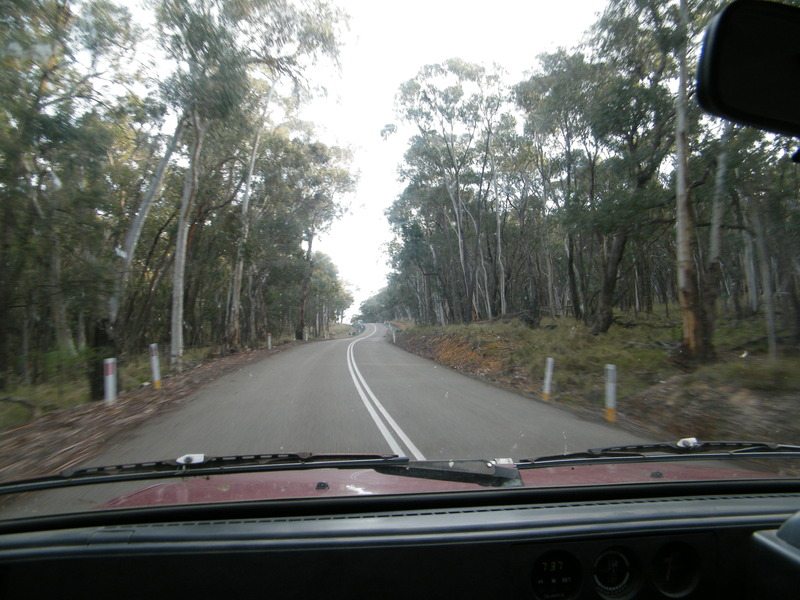 The first photo shown above is just a little way out of town on the road to Bathurst, which is about 125 ks (nearly 78 miles) away. The next down is an Australian icon (its image to be found on the five cent piece), the echidna. The echidna is a spiny, insectivorous monotreme, an egg-laying mammal, one of only two – the other being the platypus. 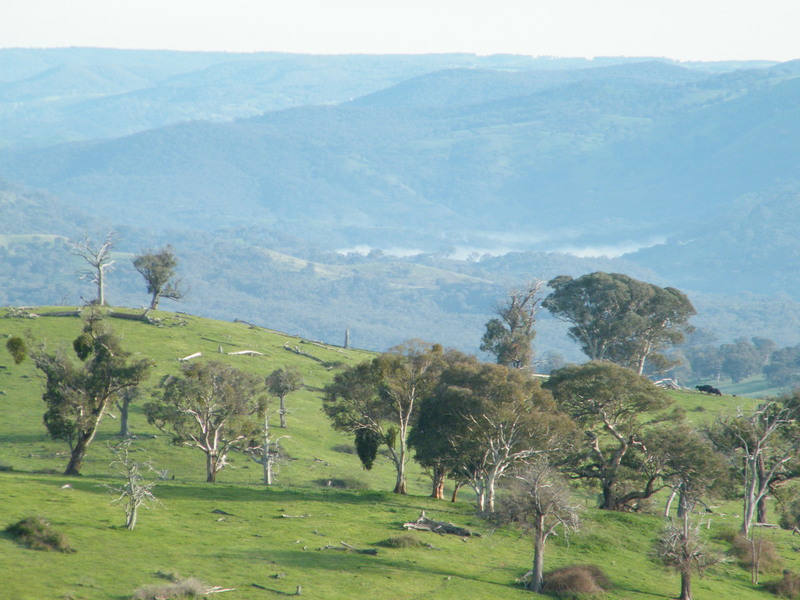 The picture was taken from our back yard, over the fence into the paddock next door. 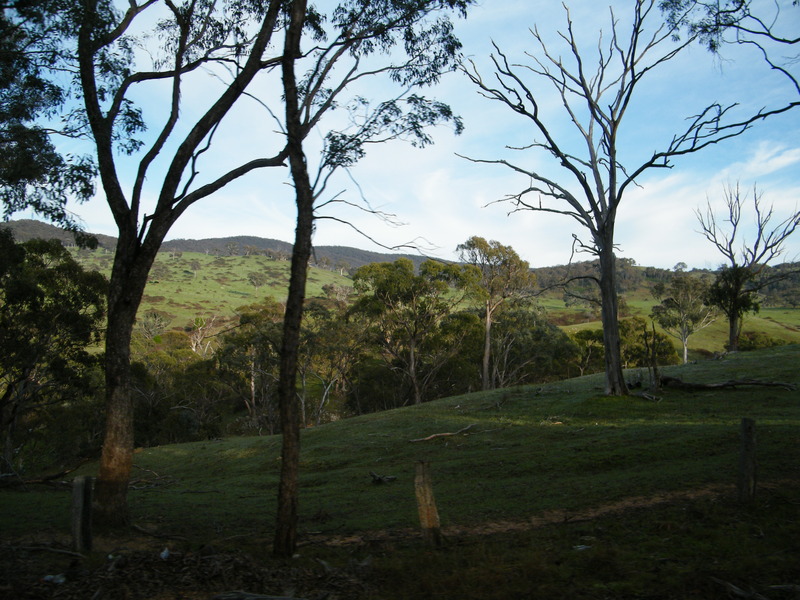 The rest of the photos are just what they look like, scenic views presented here to show you some of what the Australian countryside looks like – around here, mainly grazing lands. The upside to all this (or at least I hope it’s an upside) is that whenever I run out of things to natter about, I can pop up a picture or two. The downside is that the camera-bug has bitten me again, so now I’m after just such a camera of my own but with longer zoom. I’ve spotted what I’m after, too. It’s another electronic whiz-bang thingamejig (one of those with two lenses). 😀 Okay, yes, I didn’t actually write down what it was as I hadn’t decided at that time, I hadn’t realized the quality of these shots yet, so it was sort of a hindsight decision. Honest, I’ll get back to talking about writing eventually. Ah, I guess I have to go back and follow your adventure accordingly. In the meantime, this is good … so good! Good thing you are now using the camera nicely, uploading wonderful snaps. Thank you – I’m rather hooked on the new technology, a lot of these shots were done from a speeding car. Cheers!